The Crossword stainless steel drainage grate is one of Aquascapes best sellers and it is easy to see why. The design uses recurring Inca inspired shapes to create a look that really draws the attention and creates a free flowing crossword pattern. All of our Aquascape drainage covers are produced using 70% recycled stainless steel and are manufactured in the UK, which greatly reduces the products carbon footprint. 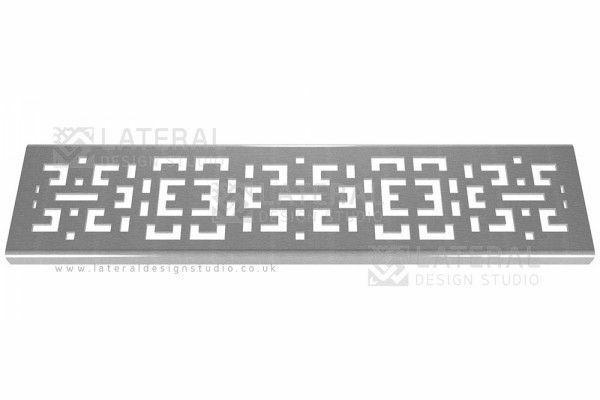 The intricacy of the design is achieved by using precision laser cutting technology, the grate is then given a contemporary brushed finish. 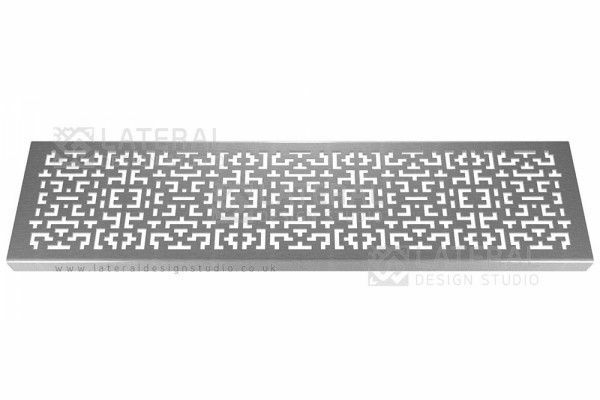 As well as giving your paving area a gorgeous design feature, the Crossword grate is a perfect alternative to unsightly plastic drainage covers which can often deteriorate and will need replacing.